According to People magazine, the 31-year-old former NFL quarterback and current New York Mets farmhand toured the picturesque property with the 23-year-old former Miss South Africa, eventually leading her to a bench near the lake. Engraved on the bench was the date they first met. 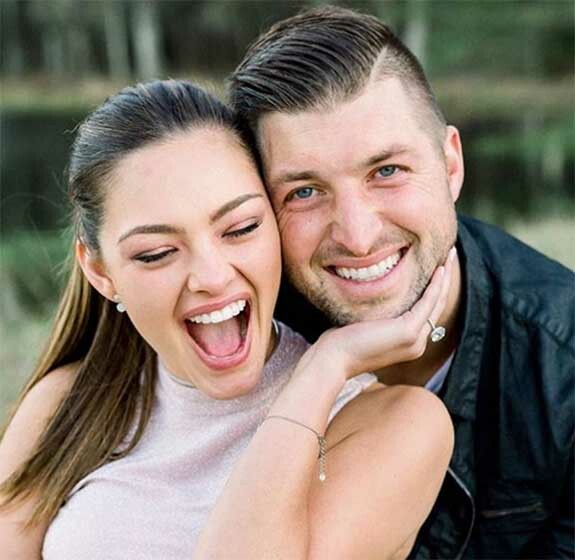 To make the surprise even more special, Tebow had arranged for Nel-Peters’ family and several friends to be flown in from South Africa so they could participate in the celebration. Ritani vice president Josh Marion told HollywoodLife.com that the ring features a classic ideal-cut round diamond in an elegant platinum setting. He placed the value of the ring at $600,000 to $700,000. Tebow had invited Nel-Peters to the farm under the cover story that they were making a belated Christmas visit to his family and surprising his dad with a new truck. Tebow even borrowed a vehicle from a local dealership so the ruse would be more believable. 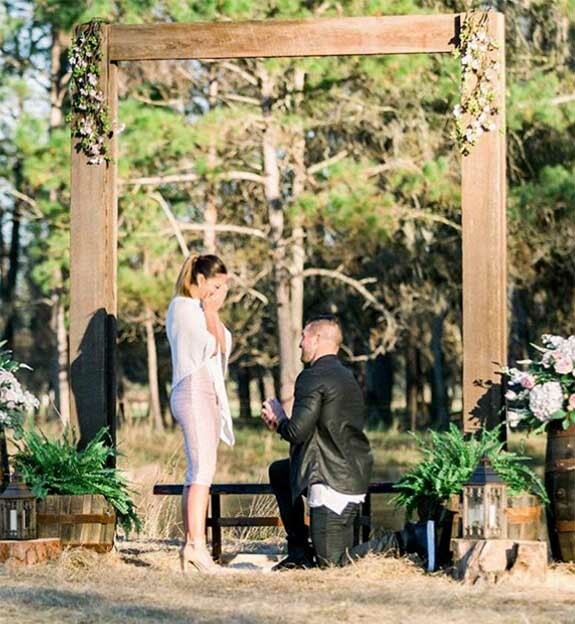 On Instagram, Nel-Peters shared romantic engagement photos and wrote, “Any dreams I’ve ever had, you’ve exceeded them all! I love you and I can’t wait to spend forever with you! 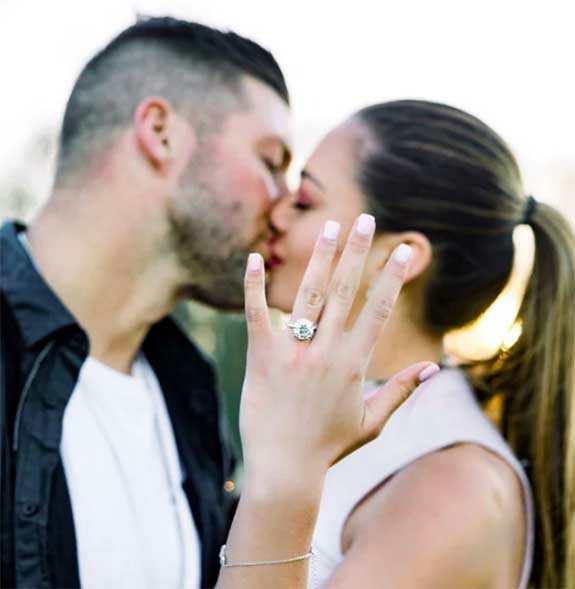 @timtebow.” She punctuated the post with emojis of a blue diamond ring and a red heart. People reported that the couple started dating in the summer of 2018 and that no wedding date has been set. Credits: Images via Instagram/kellybramanphotography; Instagram/demileighnp.